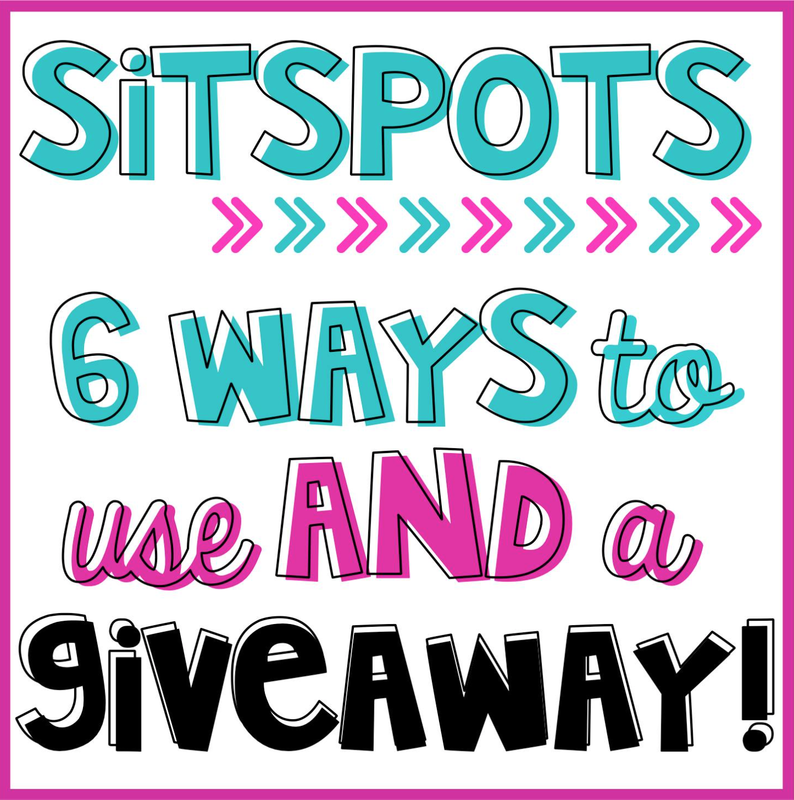 I’m teaming up today with some fabulous teacher bloggers to bring you an amazing SitSpots giveaway and ideas on how you can use SitSpots in your classroom! 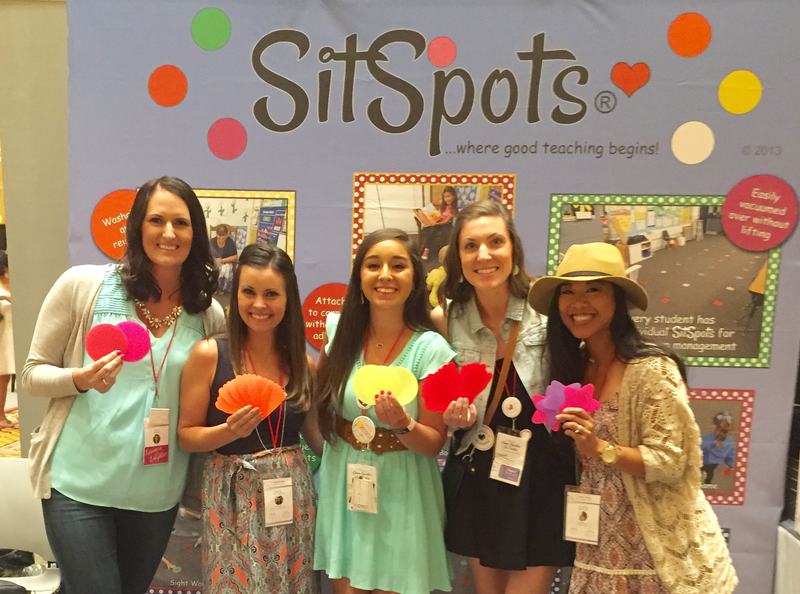 I first heard about SitSpots this summer while I was at a conference in Las Vegas. I was with a group of teacher bloggers and we had the opportunity to talk with Joyce, the owner and creator of SitSpots. She was a teacher/principal for over 25 years, so she totally gets student and teachers needs for the classroom. She came up with SitSpots to help her students with spacial awareness for everything from sitting on the carpet to rotating to centers. Of course, SitSpots can be used for so much more than that! First, what are they? 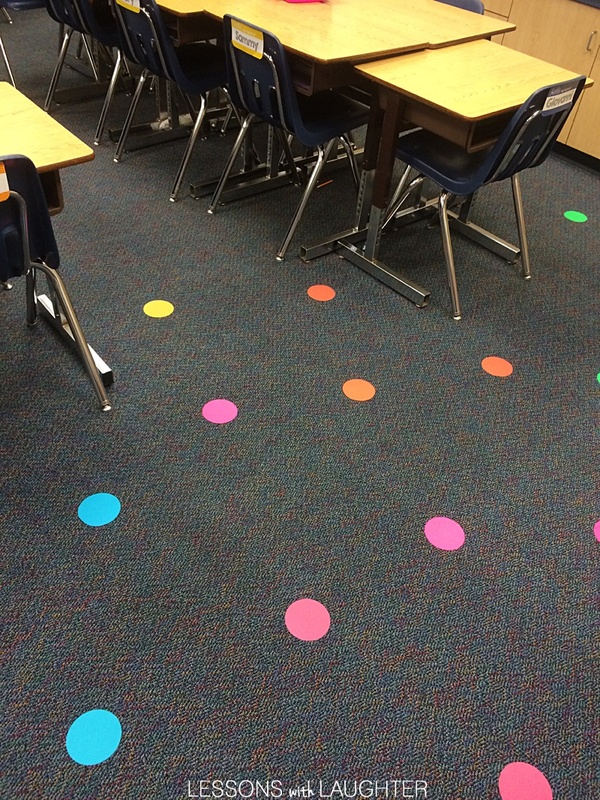 SitSpots are durable velcro shapes that stick to your classroom carpet. You can move them around, write on them, and even vacuum over them! My classroom arrangement leaves me with an odd space up at the front for when my students come up to the carpet. 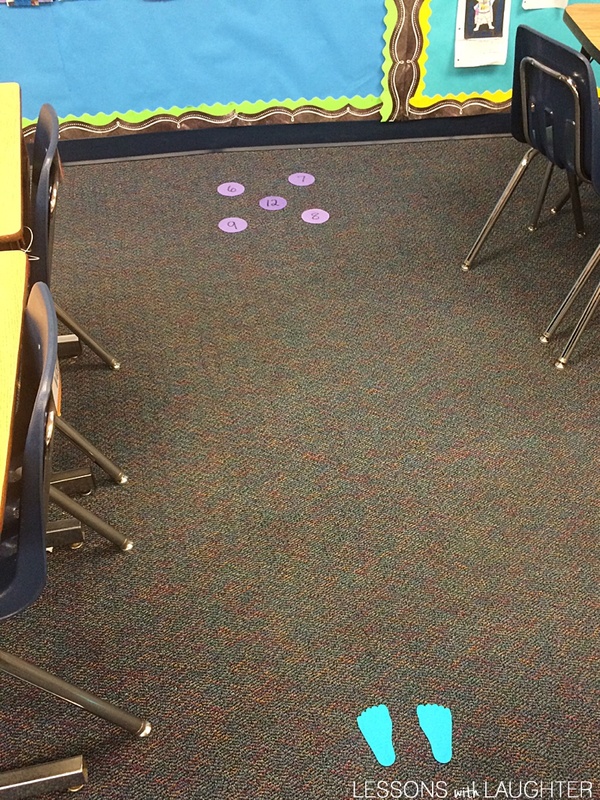 For the beginning of the year, I used the SitSpots to show 5th graders spots that they could sit on when they came to the carpet. In the past I haven’t needed these for my intermediate grade students, but since our space this year is long and skinny and we have to have students fill in between desk groups, these were definitely helpful! In addition to using them for spots on the carpet, I’m also excited to be using them for math this year! 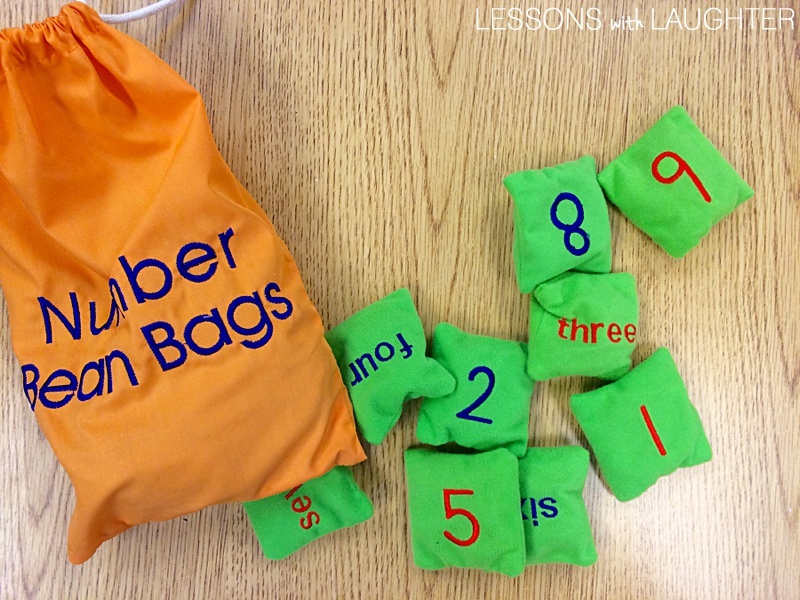 One of the ideas Joyce mentioned this summer was using the SitSpots and bean bags to help students practice math. Even in 5th grade I still have students working on math fluency with multiplication facts. When I searched on Amazon for bean bags, I came across these Number Bean Bags. There are 20 numbered bean bags in the set and I thought these would be perfect for games with the SitSpots! 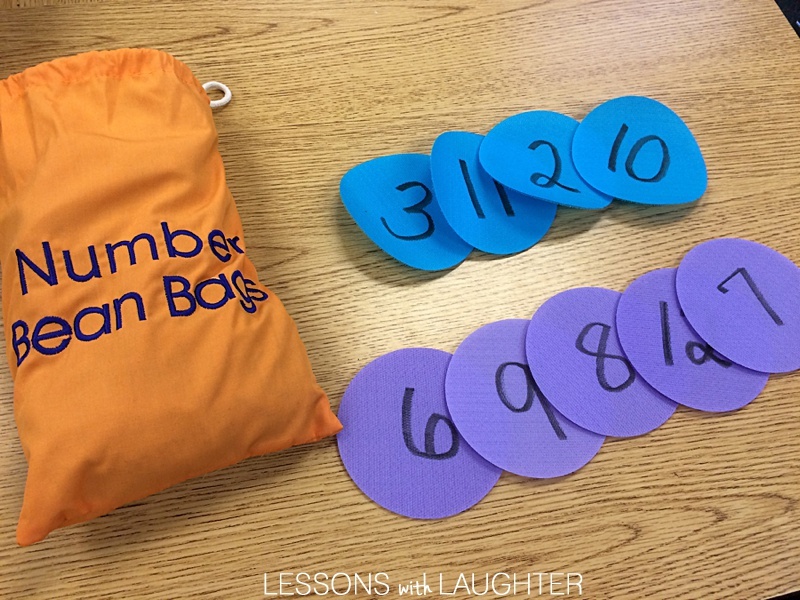 I picked out the bean bags with numbers from 1-12 for this activity, but you could use the other numbers for students who are ready for an additional challenge. Then I wrote numbers on the SitSpots and stuck them on the floor. 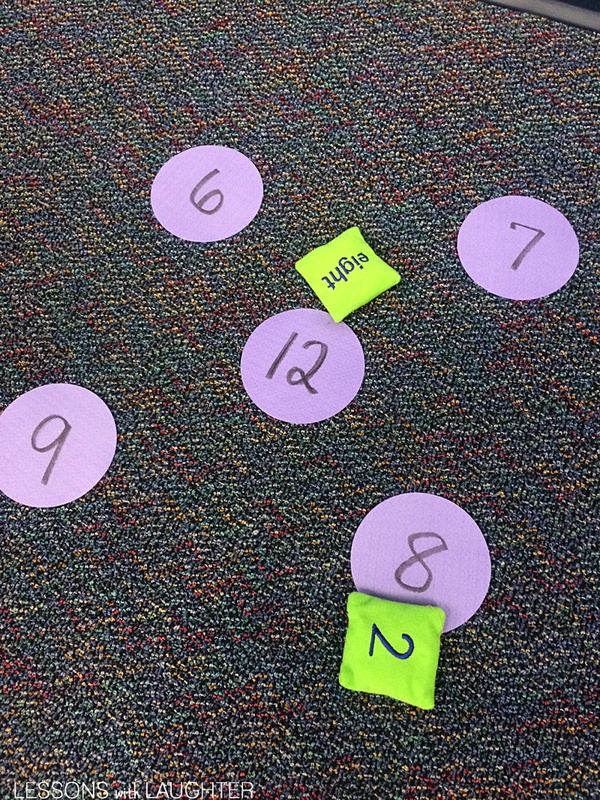 To play this game, students grab a bean bag, then toss it towards the SitSpots. Whichever one it is closest to, they have to solve the multiplication problem and say the answer aloud. For example, if the 8 bag lands closest to the 12 spot, they have to multiply 8×12 and say “96!” The other students playing the game should be trying to answer the problem at the same time, but in their head. The player who threw the bean bag then checks to see if the other players got the same answer. 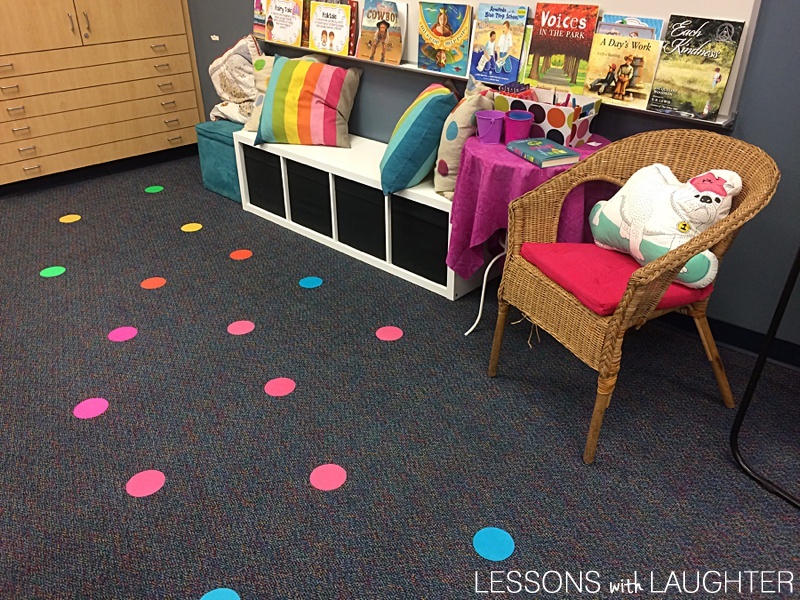 There are even feet SitSpots that you can use to show students where to stand when they are tossing the bean bags! You can even use the different colors of sit spots to differentiate problems for your students! The students who need practice with the simpler multiplication facts (2,3,10,11) can use one color of SitSpots, while students who are working with harder ones (6,7,8,9,12) can use another color. Of course you can switch up the SitSpots depending on individual students’ needs as well! I hope this helped give you another great way to use the SitSpots in your classroom! AND if you would like to win a set of SitSpots for your classroom, you can enter the giveaway below! We are giving away 6 $50 gift cards! Joyce has also kindly offered a discount code to all of our blog readers! You can use the code “sitspots6” through November 8,2015 to get 15% off your order! a Rafflecopter giveaway Click on the picture below to head over to Angela’s blog to see how she uses Sit Spots! LOVE this math game!!! I'm gonna order the number bad from Amazon tonight!!! Thanks for the wonderful idea! You're so brilliant!!!!! And your kids will be too after playing this!!! Love you!! !